The Church's Portraits of Jesus adds another voice to the ever-growing discussion about Jesus in recent media and scholarly conversations. While showing the unique portraits of Jesus offered by the four gospels-Matthew, Mark, Luke, and John-the book also establishes an approach to understanding the communities who shaped the portraits. 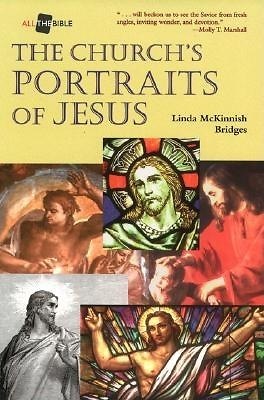 As contemporary Christians explore their portraits of Jesus, Bridges provides excellent questions and guidance. This book is perfect for church, college and seminary classrooms that focus on the reading of the gospel narratives, theology, or interpretation approached. The Church's Portraits of Jesus is also an ideal book for Sunday School groups looking for study books or other small groups within the church.